Great news for properties in Irving Park! Good news for properties and homeowners in Irving Park! 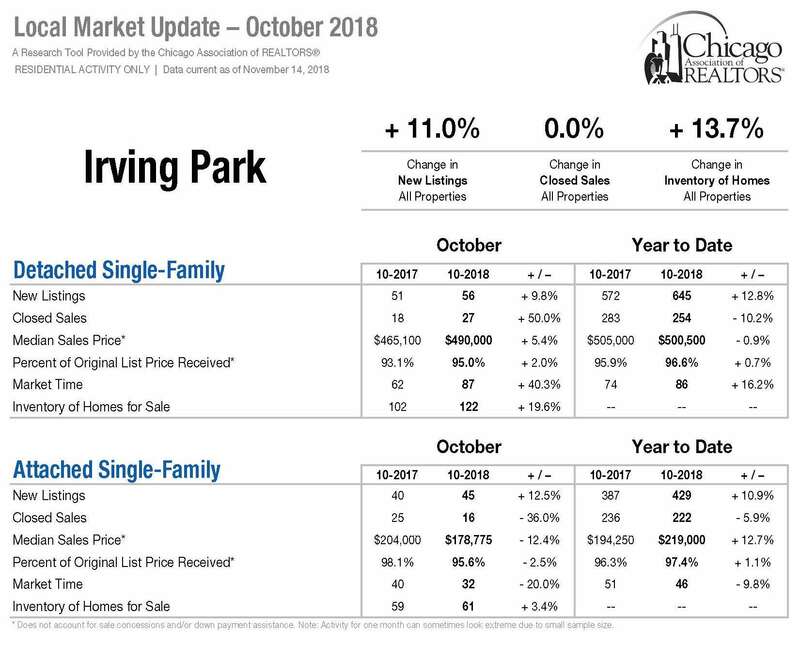 According to stats provided by the Chicago Association of Realtors (see below), the median sale price of single family homes increased again since this time last year! The high sale in the last 3 months was at Irving and Keeler: $1,180,000 for a 7bed/4-1/2+ bath home! And for those trying to buy in a great neighborhood, there are still many opportunities to purchase in the $300,000+ range. If I can be of assistance with any of your real estate needs, in Irving Park or other areas of the Chicagoland area, please do not hesitate to reach out! I would be honored to be of service.